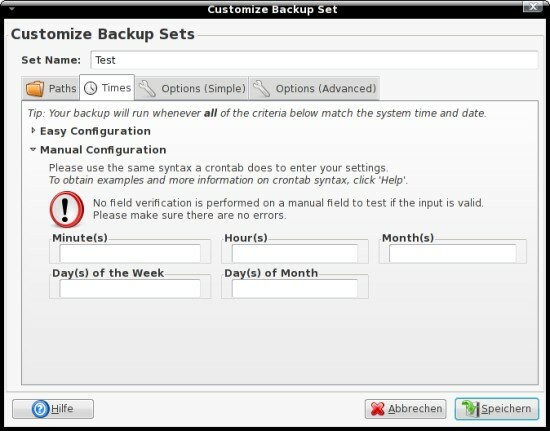 On the second tab you can manage the backup of sets that should be used for periodic backups. 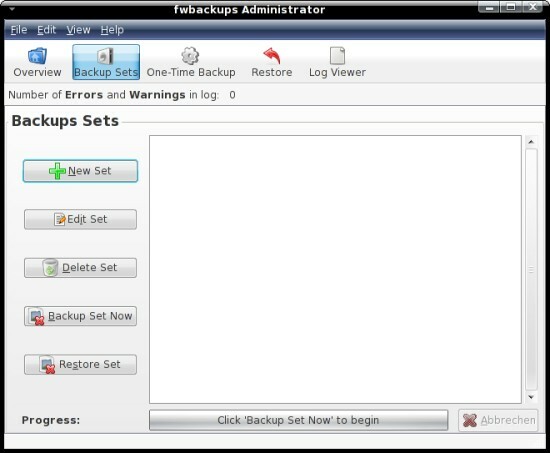 In order that fwbackups must run to execute scheduled backups it would be a good idea to add it to the startup programs - so you can't forget to turn it on. The session settings are available in the Gnome system menu. 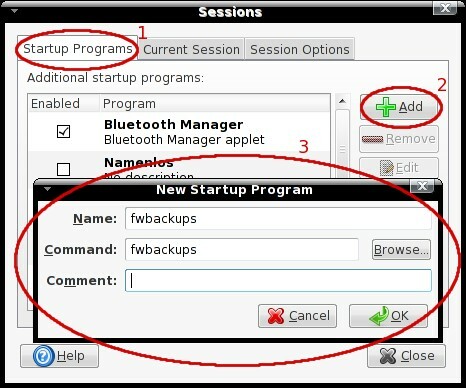 Add fwbackups to the startup programs as shown on the screenshot below. If you want to create a new set, click on "New Set" on the left side of the "Backup Sets" tab. Assign a name to the new set, add files and folders and choose a destination (local filesystem or mounted device) - afterwards proceed with the next tab. On this tab you can adjust the schedule. If there's no special reason, you should use the "Easy Configuration". You should only use the "Manual Configuration" if you know what you're doing. The input fileds require the same syntax as crontabs. 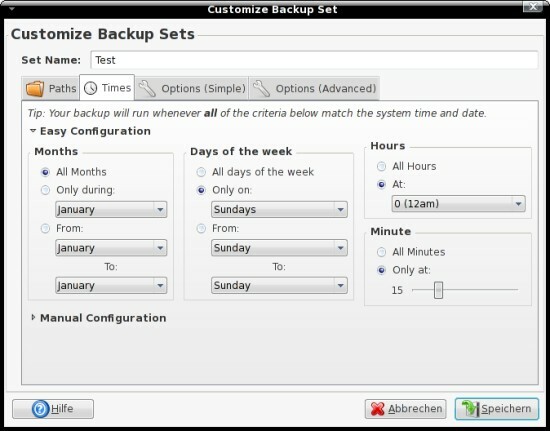 The options are the same as for the "One-Time Backups". Here you can enter commands that will be run before or after the backup. 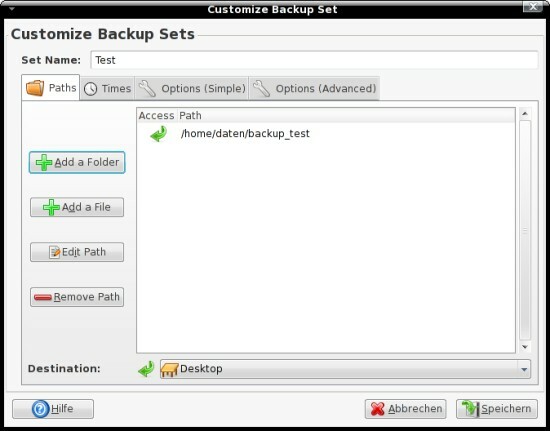 You can also exclude files and/or folders from the backup that match a special pattern or adjust the nice value. Of course you can edit your sets. Simply mark a set on the "Backup Sets" tab and click on "Edit Set" on the left side. You can edit all settings as if you're creating a new set. 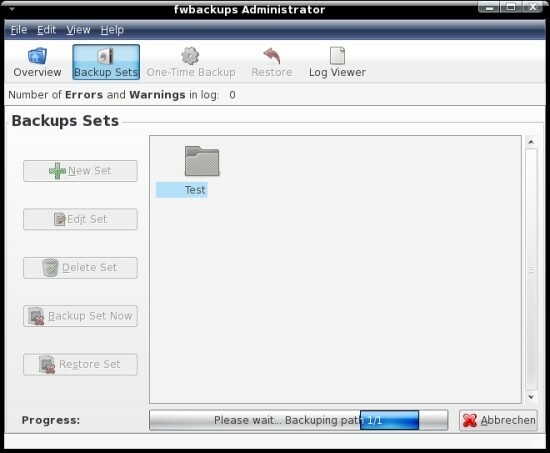 If you want to delete a set, mark it on the "Backup Sets" tab and click on "Delete Set" on the left side. Confirm the deletion if you're sure. 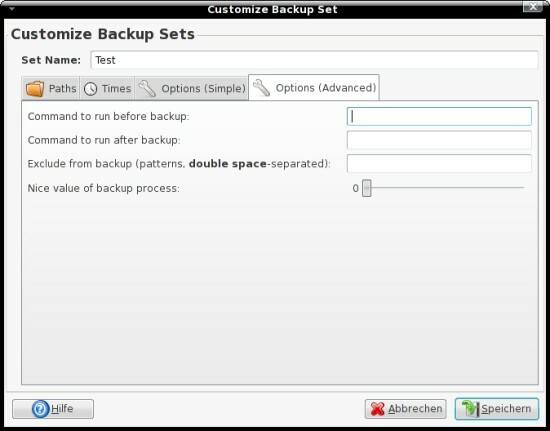 It's also possible to start a backup a set manually. Mark the set on the "Backup Sets" tab and click on "Backup Set Now" on the left side. ... and at the end.